Buenos Aires International Newcomers (BAIN) offers a multitude of events and activities for its members to enjoy, some occur on a regular monthly schedule, others are at the discretion of the event coordinator. The details of specific events can be found by clicking on the calendar, for information on the structure of our recurring events, click on the links below. Whether you are new to the city or have been here for a while, join us for a night out to check out some of the local cuisine. Each month members rendezvous at a local eatery for wonderful food and company. Restaurants vary — from simple parillas to haute cuisine — to offer a joyful exploration of the ever-expanding tastes of Buenos Aires. Information is sent to members every month announcing the locale, menu options and approximate pricing. Non-members are also welcome. Dinners are payable on-site. Have you tried a great restaurant lately that you think others would enjoy? Please send us a note. We are always looking for people to organize new venues! Join us! For more information on the next Dinner Night Out, contact bain.downtown@gmail.com. Everyone needs a night out – and this one is geared to the Ladies! After a hard day at work – or a long day at home, come join us for an evening happy hour. Each month a different restaurant/bar is chosen, keep an eye on the Calendar for upcoming dates and locations. 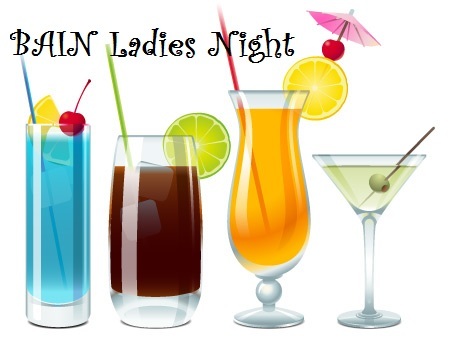 For more information on the next Ladies Night Happy Hour, contact Silvia Portalanza: silporta@hotmail.com. Have time during the day to get out and enjoy lunch with friends? We’d love to have you join us at our Monthly Luncheons. Similar to the Dinner Nights, these luncheons are a great way to get together with friends and meet new members while enjoying great Buenos Aires restaurants. Information is sent to members announcing the locale, menu options and approximate pricing. Non-members are also welcome. Luncheons are payable on-site. Have you tried a great restaurant lately that you think others would enjoy? Please send us a note. We are always looking for new suggestions! We are excited for you to join us! For more information on the next Monthly Luncheon, see the Calendar or contact Michael Weldon at mweldon213@yahoo.com. BAIN Downtown Membership Meetings are held on the last Friday of every month. A casual reception allows members and guests time to “mix & mingle” over a drink and picada. The monthly meetings are the perfect opportunity to make announcements about upcoming events, introduce new members, and discuss relevant topics for new and existing members. For more information about the next Monthly Meeting, please check the Calendar or contact bain.downtown@gmail.com. Explore Buenos Aires and its wealth of culture by joining other BAIN members on a tour. We visit local museums – both well-known and hidden jewels – as well as public institutions for group, private and self-lead tours. Walking tours are often added, and most outings include an optional lunch. For more information, contact bain.downtown@gmail.com. Love to read? 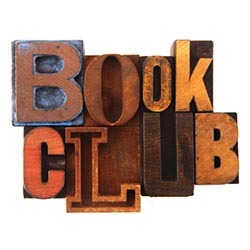 Join in on the great discussion and social time that the BAIN Reading Club offers! The Reading Club meets once a month, covering a wonderful variety of literature. We aim for a lively discussion to create a rewarding, enlightening, and most importantly, fun experience for all. At the end of each meeting we choose the next book to read, so bring your book suggestions to the meeting! Interested in joining in on the next discussion? Contact Toni at tonilin@aol.com to discover the next book and watch the Calendar for the next meeting. Argentina has hundreds of great wines to enjoy, why not enjoy them with other BAIN members at the monthly Wine and Tapas evening? These events are generously hosted by current members who open their home to an evening of delicious wine, food, and conversation. Somewhat like the typical American potluck, attendees bring a beverage and appetizer to share while enjoying the chance to socialize with other members. Check the Calendar for the next monthly Wine and Tapas evening, we look forward to seeing you there!